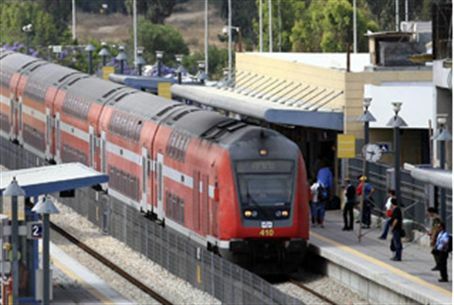 There will be no trains between Rehovot and Ashkelon, due to upgrading of train stations. Buses will be offered instead. There will be no train traffic between Rehovot and Ashkelon in both directions from Tuesday until Friday, due to construction work on upgrading of the stations. The Yavneh East station will be completely closed to train traffic. The only trains reaching Ashdod and Ashkelon will be ones coming from the western rail that passes through Yavneh West, Rishon Letzion West, Holon, Bat Yam and Tel Aviv. The Transportation Ministry has instructed bus companies to increase the frequency of service to and from the affected stations during the three-day period. In addition, free buses will connect between the Rehovot station and those in Yavneh East and Ashdod, in both directions. The buses from Rehovot to Yavneh East and Ashdod will depart a few minutes after the train reaches the Rehovot station. From Yavneh East to Rehovot, Tuesday to Thursday, the buses will leave every hour, once an hour, starting at 6:30 a.m. and ending at 9:30 p.m. On Friday, they will leave every hour from 5:52 a.m. to 3:52 p.m.
From Ashdod to Rehovot, Tuesday to Thursday, the buses will leave every hour from 5:18 until 9:18 p.m. On Friday they will leave every hour from 5:40 a.m. To 3:40 p.m.